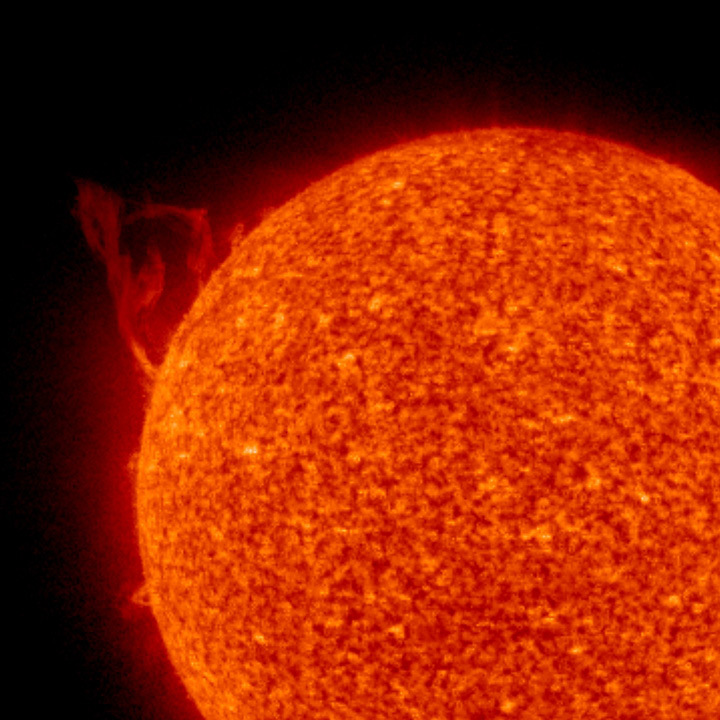 SOHO captured a fairly large prominence eruption over an 8-hour period (April 23, 2009). 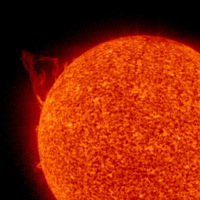 The prominence rose up, twisted, and broke apart. At its greatest extension, it rose up about 25 Earth's high above the solar surface. The eruption was observed by the EIT instrument in extreme ultraviolet wavelength at 304 Angstroms. Prominences are cooler clouds of gas that are relatively unstable. They are tethered above the Sun by magnetic forces and on occasion can be seen breaking away for reasons not yet fully understood.